We are excited to offer a variety of courses! Institute courses are numbered according to (a) their level and (b) their general topic. 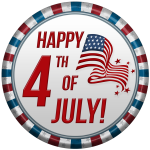 Courses scheduled for Thursday, July 4th (Independence Day) will instead hold their classes at the regularly scheduled time on Wednesday (July 3rd) that week. Click on the course name for a description. or check out our interviews on the blog! This course will provide an overview of some of the central themes in morphological theory. Emphasis will be placed on using data sets to illustrate key phenomena, and then looking at what theoretical tools are required in order to analyze them insightfully. Topics to be covered include deviations from one-to-one form/meaning connections (allomorphy, syncretism), the status of the morpheme (piece-based versus affixless theories), the interface between morphology and syntax and phonology, and the bridge between theoretical and experimental approaches to morphological representation. While the course is intended to be self-contained, it would be useful for students to have some familiarity with current approaches to syntax and phonology. We will begin by looking at two very general frameworks for thinking systematically about how we are able to use language to communicate messages whose content often far outstrips the literal meanings of the words used to convey those messages. In particular, we will look at Larry Horn’s neo-Gricean “Manichean” theory and Dan Sperber & Deirdre Wilson’s Relevance Theory. We will then zoom in and look at various categories of implicitly conveyed contents. The focus in this part of the course will be on informative presuppositions, contextual enrichments, and generalized conversational (especially scalar) implicatures. We will ask how these are accommodated within these frameworks and the extent to which additional tools from formal pragmatics are needed to provide adequate explanations. The goal of this course is to introduce students to syntactic analysis. The teaching is centered around exercises about data drawn from English but also other languages. The course will cover several core topics in syntax, such as constituency, case and binding. This course provides an introduction to the goals of formal semantics and the analytical tools used in their pursuit. Topics to be addressed include patterns of inference (entailment, implicature, presupposition), compositionality, scope, and intensionality. These topics will be explored through lectures, readings, and problem sets. No prior knowlege of semantics is assumed. Students will find previous exposure to the basic concepts of syntax (e.g. constituency, well formedness) and the basic concepts of set theory helpful although strictly speaking, not required. This course will assume a basic familiarity with phonetics, as one would get in a general survey introduction to linguistics. Four topics will be covered in the four weeks of the course: 1) A survey of the sounds of the world’s languages, 2) Articulatory Phonetics, 3) Acoustic Phonetics, 4) Auditory Phonetics. In addition to basic knowledge on how to analyze speech, the course will emphasize some implications of phonetics for how we understand phonological structures. Prosody, broadly defined as the aspects of spoken utterances that are not governed by segmental contrasts, is challenging to analyze because it operates close to the limits of conscious introspection, and because most spoken utterances involve multiple prosodic dimensions simultaneously conveying multiple meanings or serving multiple communicative functions. This course will help participants learn to identify, discover, and describe meaningful prosodic properties and patterns in spoken utterances. The approach will be theory-neutral and descriptively eclectic. The focus will be on primary observation and preliminary analysis and ideation rather than hypothesis testing based on pre-existing theories. The course will include lectures, ear and production training exercises, discussions of readings, qualitative and quantitative analysis with Praat, R, and other tools, hands-on analysis of provided and contributed data, and the development and presentation of student research proposals. The course is designed to be broadly accessible, with knowledge of phonetics not required. Case studies will, depending on student interests, include sociolinguistic differences in the production and perception of prosodic forms, the mapping between prosody and other layers of linguistic and communicative organization (e.g. syntax, discourse, conversational turn-taking), cross-language comparisons, cross-cultural issues, and the prosody of non-native speakers. This course is intended to provide an introduction to phonological analysis, theory and argumentation. Topics covered will include common segmental and autosegmental phonological processes as well as prosodic phonology. The goal of the course is to develop both a typology of common phonological processes and analyses of these processes in at least one theoretical framework. The discussion will largely assume either Autosegmental Phonology (Goldsmith 1975) or Optimality Theory (Prince & Smolensky 1993/2004) as the formal framework. The course is not designed to provide a systematic introduction to either of these frameworks, though a brief introduction to each will be given. Prior knowledge of either framework is not required. A basic understanding of the phonetic properties of speech sounds will be assumed. While there is no textbook for the class, students will find Zsiga’s “The Sounds of Language” to be a useful resource. There will be several homework assignments, as well as in class exercises to work through the course material. This course offers an introduction to computational methods for modeling linguistic phenomena at various levels, with a focus on the formalization and representation of language in a computational framework. We explore issues involving the intersection of linguistic structure, theory of computation and statistics. Psycholinguists attempt to answer four fundamental questions about language: What does one know when one knows a language? How does an individual access and use that knowledge when producing or understanding language? How did we get this way? What is the neural basis of language production, comprehension, and acquisition? Students will gain an appreciation for the kinds of theories that psycholinguists have developed (or “borrowed” from linguists, philosophers, computer scientists, and others) to answer these questions, as well as the psycholinguistic research methods used to investigate them. This course will address how infants and young children learn language. The focus will be on mechanism, not simply what children know at a given age, but how they learn. The readings will emphasize early learning about speech sounds and words. Analysis of a language unknown to class members from data elicited from a native speaker of the language following standard linguistic elicitation and analysis techniques. Requires several short and one longer paper describing features of the language. Discourse analysts set out to answer a variety of questions about language, about writers and speakers, and about sociocultural processes that give rise to discourse and are constituted in discourse. But all approach their tasks by paying close and systematic attention to particular constellations of texts and contexts. In this course we ask and answer questions about why people use language as they do, learning to move from a stretch of speech or writing or signing outward to the linguistic, cognitive, historical, social, psychological, and rhetorical reasons for its form and its functions. As we look at resources for text-building we read about analyses by others and practice analyses of our own. In the process, we discuss methodological issues involved in collecting texts and systematically describing their contexts (ethnographic participant-observation and other forms of naturalistic inquiry; transcription and “entextualization”; legal and ethical issues connected with collecting and using other people’s voices) as well as methodological issues that arise in the process of interpreting texts (analytical heuristics; reflexivity; standards of evidence). Students are expected to be familiar with basic concepts in English grammar. This course introduces students to language variation and change as conditioned by both linguistic and social constraints and the ways that linguists have explained that variation. To understand language variation and change, we will examine classic and recent studies of variation at both micro- and macro-linguistic levels, ranging from phonetic variation to variation in language choice. The course will focus in particular on how sociolinguistics has demonstrated the systematicity of socially stigmatized language varieties as well as how the results of sociolinguistic studies can be used to benefit the communities from which we draw our data. This course will provide an introduction to language typology, an approach that assigns a central role to cross-linguistic differences, studying them systematically and always keeping in mind possible language universals. Topics to be covered will be primarily from morphology and syntax, including word order, alignment (e.g. ergative, accusative), and relative clauses. Historical linguistics is about how and why languages change. This introduction to historical linguistics covers the fundamental principals and methods of: sound change, borrowing and language contact, analogy, reconstruction and the comparative method, language classification, internal reconstruction, change in grammar, lexical and semantic change, and explanation of linguistic change. This course will explore the discoveries and generalizations that lay behind the proposal of “abstract case” as a universal licenser of nominals, advanced by Vergnaud and Chomsky in the late 1970s — which became a pillar of standard approaches to several major syntactic questions over the next several decades The class will begin by laying out these proposals and its most famous challenges, including the theory of dependent case (Yip et al. 1987; Marantz 1991; Bobaljik 2008), and others. We then turn to some very recent challenges to the claim that issues of abstract case lie behind the special properties of nominals in non-finite vs. finite clauses (Pesetsky 2019) and passive vs. active constructions (Müller 2017) — and attempt to take stock of what remains from earlier proposals if this recent work is correct. The class is designed to be accessible to students with a basic background in generative syntax, and should engage the interest of more advanced students and researchers as well. The goal of this course is to provide students with broad training in the nomenclature, theory, and practice of articulatory phonetics and phonology. Students in this course will learn about the organs of the vocal tract used in speech production and their coordination and factors thought to affect speech articulation. Along the way, students will learn about some of the methods for studying articulation, including practical hands-on activities.Students be assessed on weekly short homework assignments and a proposal for novel research related to their own research interests. Experimental speech perception, which spans a period of more than 70 years, investigates how listeners interpret the input acoustic signal as linguistic forms. From the discipline’s earliest years, researchers recognized that the acoustic signal is highly variable and that perceptual processing is more complex (and interesting!) than a simple one-to-one mapping between acoustic property and linguistic percept. Yet, despite this complexity, humans are highly accurate perceivers of the intended speech in typical conversational interactions. This course provides an introduction to methods of experimental research on speech perception and production as tools in phonological analysis. The coursework will consist primarily of readings from the published literature exemplifying the laboratory phonology approach. The topics of the readings will reflect a fundamental question in both theoretical and laboratory phonology: what is the nature of phonological representation? We will explore this question through readings and discussions on topics such as contrast, allophony, neutralization, and suprasegmentals. In this course we survey the basic aspects and results of Head-Driven Phrase Structure Grammar (HPSG), a lexically-driven framework for grammatical analysis via simultaneous constraint satisfaction that is well-developed and has led to wide-scale implemented grammars of several languages. Wherever possible, we include comparisons with competing approaches in other frameworks. This course will provide an introduction to Bayesian modelling using JAGS in R. Class work, including all statistical analyses, will be carried out using the statistical programming language R, so familiarity with the use of R is necessary. An introduction will be given to Bayesian inference and modelling, followed by a basic introduction to writing statistical models in JAGS (Just Another Gibbs Sampler). Following this, we will cover the analysis of designs equivalent to t-tests, one-way ANOVA, multi-factor ANOVA, multiple regression, and logistic regression. Example models and data will be provided for each model type, and we will compare the output of Bayesian and frequentist models. We will also consider the use of more robust models (e.g., with heteroscedastic error) that are possible within a Bayesian framework. This class is intended for researchers who are comfortable using frequentist statistical modelling in their work, and are interested in learning about the use of equivalent Bayesian models. As a result, familiarity with the use of repeated-measures ANOVA, multiple regression, and mixed-effect modelling (such as lmer) in R is assumed. Advanced Psycholinguistics continues many of the themes and topics considered in Psycholinguistics (Course #140), with an emphasis on newer areas of investigation and theoretical controversies. Topics will include resolution of linguistic ambiguity, processing of filler-gap relations, computation of morphosyntactic agreement, and interpretations of “marginal” forms such as resumptive pronouns, parasitic gaps, and disfluencies. Other issues that may also be covered are adaptation in language comprehension, the interpretation of co-speech gestures, and the effects of discourse markers such as “on the one hand” on the anticipation of discourse structure. Findings will be considered in the context of current theories of language and cognition such as retrieval-based models and rational, information-theoretic approaches. Evaluation will be based on class participation, weekly blog commentaries, and a final paper in which students present a preregistered study for submission to a psycholinguistics journal. This course will examine research efforts that seek to identify the biological substrates of human language. The course will provide a general introduction to neuroanatomy. We will examine common methods (e.g. EEG, fMRI, MEG, Lesion Studies) used to chart neurological systems used in language processing and discuss strengths and limitation of these methods. We will consider evidence for a linguistic specialization of cortical regions and learn about dual route models of language processing. We will discuss the emerging role of neural oscillations in models of language production and comprehension and explore how complementary studies of spoken and signed languages inform and constrain our understanding of the biological capacity for human language. Readings will include general review chapters as well as primary source peer-review journal articles. Historical sociolinguistics is the application/development of sociolinguistic theories, methods, and models for the study of historical language variation and change, or more broadly, the study of the interaction of language and society in historical periods and from historical perspectives. In our sessions at the Institute, we will: arrive at a baseline understanding of the scope of the field; consider some of the theories and methods deployed in historical sociolinguistic research; examine datasets assembled for historical sociolinguistic investigations; review select examples of the application of the theories and methods to datasets; experiment with some of the digital tools of the field in our own hands-on investigations. The main goal of this course is to explore a range of conceptual tools for the analysis of what is generally called “social meaning” in language use/practice. Particular attention will be paid to the follow four conceptual areas: indexicality (including indexical order and indexical field), enregisterment, interdiscursivity and dialogism, and metapragmatic discourse. In addition, by drawing on the insights from these conceptual tools, we discuss how to link linguistic analysis at the so-called “micro” level to socio-cultural processes and structures at the “macro” level. The readings assigned for each topic combines theoretical pieces with case studies that apply those concepts. The course provides an opportunity to survey the latest development in the investigation of social meaning as well as an opportunity to (re)examine our own data by applying the concepts introduced. By the end of the course, students will acquire an expanded conceptual toolkit for investigating the social meaning of language in use. This course provides a broad, interdisciplinary perspective and a range of tools for the study of gender, sexuality, and linguistic practice. The course will cover major theoretical developments in the field with a focus on contemporary issues and debates. Topics of focus include agency, indexicality, parody, identity, globalization, nationalism, and embodiment. August Schleicher 1850 called history “that enemy of language”; this course treats linguistic change as a “frenemy” nevertheless requiring optimal strategies and tactics. The overlapping strategic topics include: (1) change-in-progress vs. reconstruction, (2) quantitative vs. qualitative data, (3) the pros vs. cons of uniformitarianism, and (4) use vs. abuse of biological concepts in linguistic diachrony. Among the overlapping tactical issues are: (1) continuity vs. splitting and/or expansion of “the same” generalization, (2) morphosyntactic vs. phonological and even phonetic analogy, (3) phonetic and/or phonological vs. alleged grammatical and/or lexical conditioning of Neogrammarian sound-change, and (4) prudent vs. idolatrous invocations of grammaticalization. This course focuses on the structure of the lexicon and its role in linguistic theory. In particular, we address the following questions: (1) what is the lexicon, what is its content and structure? (2) what principles determine the functioning of the lexicon as a component of natural language grammar? (3) what role does lexical information play in linguistic theory? Although the lexicon is still viewed as the most passive component of grammar, in the last 50 years its role has been gradually reassessed and many linguistic theories explicitly argue that it is a dynamic module incorporating as well as dictating essential components of syntax and semantics. The main issue facing present-day lexical research is that there is no unified theory of the lexicon, but rather many different, often compatible and even overlapping partial lexical models. We examine these approaches and offer a principled account of lexical structure and design, and the relation of the lexicon to grammar as a whole. The course is data-oriented and it aims to provide students with the tools needed to work with lexical data. The proposed explanations are generally theory-neutral, but a strong claim is made for specific, generatively oriented principles characterizing the behavior of words. This course is an introduction to child language acquisition (primarily first language acquisition), with special emphasis on semantics (meaning) and pragmatics (language usage). In this course, we will cover evidence revealing how children acquire the meaning of individual words, how they assign interpretations to sentences (which may or may not be ambiguous), and how they recruit information about the discourse context and speakers to assign meaning to utterances. We will cover truth conditional semantics, lexical semantics, and conversational implicatures, and see how a richer understanding of the process of language acquisition comes from investigating language within cognitive science. This course examines the use and interpretation of acceptability judgment experiments in syntax, drawing on two major themes: theoretical interpretation and community-based research. Unlike a more typical methods course in experimental syntax, the current course focuses primarily on meta-theoretical issues in interpreting judgment data (Part A) and on adapting judgment tasks to understudied languages and populations in a methodologically robust manner (Part B). Part A and B will be interwoven, and students will gain hands-on experience designing an experiment while reading and discussing relevant theoretical issues. Making sense of language morphology requires identifying how the internal structures of (complex) words serve to discriminate one word from another and how these systems of discriminably different words cohere into patterns of relatedness between (complex) whole words. Morphology, accordingly, needs to be conceptualized in terms of the systemic organization of parts and wholes. Such organization facilitates the ability to infer forms of words that one has not encountered on the basis of forms that one has encountered. Given the continued learnability of languages under constant change, this means that the principles of morphological organization are constrained to maintain certain types of coordination among constutive parts, while avoiding others. These central assumptions make this type of approach both more and less novel than it first appears to be. It requires developing old and sometimes forgotten insights from language study and exploring them with new quantitative methodologies and detailed data sets. It involves making explicit ideas and methods that have been less favored and familiar in linguistics, though they have led a parallel existence as more favored and familiar ideas and methods in other disciplines. In particular, it richly benefits from exploring conceptual and methodological insights from the developmental sciences, e.g., developmental psychobiology and eco-evo-devo, in their efforts to address the nature and organization of complex integrated systems as they change over time. This course teaches foundational concepts in computer science and mathematical linguistics as they apply to phonology. This material is related to rule-based and constraint-based theories of phonology including several varieties of SPE and OT including harmonic grammar. The course has two main foci. First, it will show how a logical analysis allows the expressive power of the theories to be compared. Second, it will show how computational analysis can make significant inroads on problems relating to learning phonological patterns from data. This course will introduce basic corpus-linguistic analysis using the open-source programming language R. We will cover basic data handling and programming issues (general as well as corpus-linguistic ones), fundamentals of regular expressions, and we will go over a variety of small applications involving different kinds of raw and annotated data. The field of experimental pragmatics combines an interest in the theoretical complexities of language use with the experimental methodologies of psycholinguistics. The course will present a broad survey of recent work in this area that has attempted to apply the methods of experimental psychology to classic issues in theoretical pragmatics. We’ll discuss topics such as reference, implicature, and presupposition. We’ll also go into state-of-the-art probabilistic models of pragmatics and discuss methodological issues regarding the importance of linking functions for interpreting behavioral data. A growing consensus sees language processing, as well as cognition more broadly, as a probabilistic process that follows principles of rational inference. Computational modeling is therefore increasingly necessary to formalize theories of how language is represented and processed. Moreover, advances in computing power, the development of new statistical methods, and the creation of large linguistic datasets are allowing us to apply these models on an increasingly large scale. This course will introduce students to key methods and findings in the study of computational psycholinguistics. The course will cover psycholinguistic phenomena at a variety of levels, from phonemes to morphemes to sentences and discourses. It will introduce students to probabilistic modeling, with a focus on statistical language models and Bayesian inference. This course will focus on developing an approach to morphophonology (= the phonological expression of morphology) in which theory and computation are tightly integrated and mutually informing. The course will be organized around several challenging areas of morphophonology, some of which have been addressed by computational models and some which require novel approaches. Students in the course will read linguistic and computational papers related to these areas, closely study a particular case of morphophonology from the literature or their own research, and complete a project that evaluates an existing model or develops a novel one for their case study. Information theory is a mathematical framework for analyzing communication systems. This course examines its applications in linguistics, especially corpus linguistics, psycholinguistics, quantitative syntax, and typology. We study natural language as an efficient code for communication. We introduce the information-theoretic model of communication and concepts of entropy, mutual information, efficiency, robustness. Information-theoretic explanations for language universals in terms of efficient coding, including word length, word frequency distributions, and trade-offs of morphological complexity and word order fixedness. Information-theoretic models of language production and comprehension, including the principle of Uniform Information Density, expectation-based models, and noisy-channel models. Network science is the study of complex systems, formalized as networks consisting of nodes and links between nodes. This course provides an introduction to the application of network science to linguistics. Network models are applicable to a wide range of topics in nearly every linguistic subfield. This course will cover the use of word networks to model semantic, syntactic, morphological, or phonological relations among words; the use of social network and epidemiological modeling to examine the spread of linguistic patterns throughout a community; and how dynamical models can be used to simulate the growth or shrinkage of such networks. As such, these models touch on various topics in phonology, morphology, semantics, syntax, first and second language acquisition, historical and sociolinguistics, psycholinguistics, and beyond. The course will provide hands-on experience in coding and developing network analyses. Prior experience in Python or a similar programming language is beneficial but not required. Throughout the course, students will develop a small research project tuned to their interests. This course introduces associative/connectionist and Bayesian approaches to learning theory. Learning-theoretic explanations for core phenomena in language acquisition and language change are compared and critically evaluated. This course provides an introduction to the relation of language and cognition, with an emphasis on computational treatment of this topic. We will explore universal aspects of cognition that underlie language, and the effect of one’s native language on cognition. No prior experience with computational modeling is required, and necessary formal concepts will be briefly introduced as needed. The course will introduce attendees with a variety of backgrounds to the rapidly growing field of neurolinguistics, with a special focus on bilingualism. Although the study of language deficits in people with brain damage or degenerative neural diseases has been around for a long time, neuroimaging methods, such as magnetic resonance imaging and electrophysiology, have been applied more recently to questions about the way that language is processed in the brain. Bilingualism provides a unique lens for understanding fundamental concepts about language processing, such as the interactions between different levels of language representation, what drives language change, and individual differences in language processing. Students will learn about the areas of the brain that are involved in language processing and the similarities and differences seen for processing in the native versus a non-native language. They will explore recent research on neuroplasticity in adulthood and how it relates to the debate on critical periods, and develop an understanding of the “bilingual cognitive advantage” debate and its relation to the notion of cognitive reserve. Through this course, we plan to provide students with a foundational understanding of neurolinguistic methods, which will allow them to further explore research in this area beyond the course. This course examines the linguistic consequences of the African slave trade internationally, with primary emphasis on the United States. Linguistic analyses will be paramount, but educational and legal policies will also be included in this class. This course will focus on how field research is conducted in sociolinguistics. The approach to this issue will involve an in-depth investigation of samples of sociolinguistic research in order to study: 1. the methods used to collect sociolinguistic data by investigating various approaches to fieldwork (including random samples, trend surveys, cohort studies, panel surveys, and longitudinal case studies, and ethnographic community studies); 2. the methods used to reduce speech to writing – the transcription of data; 3. the qualitative and quantitative measures used by sociolinguists to analyze data. Students will design and implement a pilot field study project where they will have an opportunity to collect, transcribe, and analyze sociolinguistic their data. Knowledge of basic sociolinguistic theory is recommended but not required. This course is an introduction to digital methods in language documentation. Topics to be covered include principles of solid data management; audio recording; video recording; ethics; overview of essential software (eg., ELAN, FLEx, SayMore); equipment; preparing data for archiving. The course will be primarily lecture-based, with hands-on opportunities as equipment allows. Although race is often viewed within linguistics as simply one social factor among others and is seen as having relevance primarily to sociolinguistics, the discipline of linguistics is in fact saturated with often unacknowledged theories and practices of race and racialization. Given the central importance of race in scholarship and society, this course has three primary goals: (1) to examine the ways in which linguistic theories and racial theories have co-evolved, (2) to investigate the role of race in linguistics and the role of language in racial thinking, and (3) to identify ways in which linguists are in a key position to help with scholarly and societal understandings of race. Some of the questions we will investigate in the class include: What existing racial theories does linguistics draw from either implicitly or explicitly and which ones should we work to further include?How is race operationalized in linguistics and linguistic research? What methods or forms of analysis should we use to best capture the contemporary realities of how race and language intersect? What racial questions are currently being asked in linguistics and does (sub)disciplinary devaluation of certain questions lie along racial lines?How can we address the overresearching of racialized groups and the underresearching of whiteness within linguistics? What can linguistics contribute to the understanding of race in other disciplines? What can linguists learn from other disciplines to contribute to our understanding of race? How can people from underrepresented racial groups be empowered in linguistics? How can linguistics be less racist? There is no linguistic justice without racial justice. As such, this course will have a particular emphasis on creating resources and strategies for supporting anti-racist efforts within linguistics. All course participants are expected to be actively engaged and to undertake constructive critical reflection on their subfield as well as their own subjectivity as linguistic researchers located within a system of racial hierarchy. A thorough overview of theories of creole and pidgin genesis in addition to the study of their properties from a historical and cognitive angles. This course will introduce students to one of the most linguistically diverse regions of the world. There are over 300 languages – divided into over 70 families and isolates – currently spoken in Greater Amazonia. The course has four components. First, the diversity of the region will be showcased by exploring each of the major language families, their geographic distribution as well as important grammatical characteristics that languages within those families are known for. This section of the course will also address the challenges of language classification in a part of the world where there is limited access to historical and comparative data. Second, the course will examine important phonological, morphological, syntactic and discursive structures that are common across Amazonia, including polysynthesis. nasality, classifiers, clause chaining, switch reference and evidentiality. These topics will be discussed from a typological perspective, focusing on the special role that the documentation and description of Amazonian languages has played in our broader understanding of these linguistic structures. The third component of the course will be centred around historical change and grammaticalisation. Topics covered will include the diachronic development of tone, striking changes in alignment systems in closely related languages, and typologically rare grammaticalisation pathways. Finally, the course will end with a section about the dynamics of language contact in Amazonia and the profound effect that cross-cultural interaction and multilingualism has had on many languages in the region. An important discussion will revolve around the degree to which certain Amazonian areal features can be linked to local socio-cultural practices and attitudes about language use. By the end of this course, students will not only be familiar with the languages of Amazonia and their typological features but will also understand the valuable contribution that the study of Amazonian languages has had on linguistic theory. Since the late 1990s, the development of mathematical and computational models of language variation and change has yielded enormous advances in our understanding of the cognitive processes that underlie these phenomena. However, although many (if not most) linguistic changes are socially conditioned, formal models have been almost exclusively focused on the grammatical and/or psychological aspects of change, neglecting its social aspects. On the other hand, many non-mathematically oriented approaches in sociolinguistics and linguistic anthropology have stressed the role that social meaning and identity construction play in language use, and they have developed articulated theories of how meaning and identity mediate the relation between social change and language change. This course explores how we can develop formal models of the social aspects of variation and change by building on recent advances in computational game-theoretic pragmatics. We will see how gametheoretic models, originally developed for the use and interpretation of expressions with truth-conditional meaning, can be used to formalize aspects of influential theories of the use of socially meaningful expressions, such as Eckert’s Third Wave approach to variation. We will also see how tools from formal lexical semantics, such as Gärdenfors’ Conceptual Spaces framework, can be used to formalize aspects of speaker/listener ideologies (beliefs, stereotypes etc. ), and how ideological structure can be integrated into the models to analyze patterns of sociolinguistic perception/interpretation. We will then investigate how game-theoretic models of social meaning can be integrated with gametheoretic models of propositional communication in discourse, such as Asher’s Message Exchange games, to capture how speakers’ identity construction goals are related to their broader strategic goals in conversation. Finally, we will explore how extensions of these models within evolutionary game theory can be used to study how social changes, such as social/political movements or globalization, contribute to the actuation and progression of linguistic changes. Linguistic minorities arise through conquest, colonization, immigration, enslavement, or the creation of political states that ignore ethnolinguistic territories, and the creation of linguistic minorities often leads to ethnolinguistic conflict. These conflicts often involve assaults on minority language rights, and while they account for a good portion of global conflict, they tend to attract less attention and be less acknowledged as a “class”, than ideological, religious, environmental, or economically-based conflict. The publication of Language Conflict and Language Rights: Ethnolinguistic Perspectives on Human Conflict (Cambridge University Press, 2018) opened the door to the construction of a curated digital source of information about ethnolinguistic conflicts and language rights violations around the world, information not readily available elsewhere. Starting with the few dozen cases presented in the book, this project is a growing source of information on such conflicts worldwide. Conflict cases are geo-located, with information about the state/territory of the conflict, the ethnolinguistic parties to it, its history and linguistic background, and relevant language rights issues. Database filters allow users to compare and contrast conflicts, sorted by conflict type (e.g. indigenous minorities), language family (e.g. Bantu and/or Indo-European languages), or location (e.g. Canada or Burma). Current plans are to grow this resource to include several hundred cases, providing useful information to linguists, political scientists, historians, and legal scholars, as well as to the general public. The course will present a typology of language conflict/rights cases, surveying the historical and linguistic backgrounds for several of these, along with an account of the language rights violations that have played out in each. It will also provide a close examination of the data design and geographical research upon which the digital encyclopedia is based, surveying the editorial and coding protocols used in the construction of the original data entries and in curation of additional cases. The aim of the course is to address the significance of sign languages in discovering the properties of human ability for language. The course provides a deep understanding of the main issues of sign language linguistics at various levels. A selection of phenomena that are important for understanding the structure of sign languages and their relation to spoken languages is presented and discussed. At the end of the course, student are expected to be able to know the relevant aspects of SL structure and what makes SLs special with respect to spoken languages. Where our ideas have come from, and where we think they have come from—these concerns have a powerful influence on the work that we do, and nowhere is this more true than in the academic fields that we call the mind sciences, which include linguistics, psychology, philosophy, and logic. This course will focus on seven important moments in the developments in these fields, as viewed from the vantage point of a linguist in the 21st century. The course is based on a book, Battle in the Mind Fields (University of Chicago Press, 2019), which I have written with Bernard Laks. This book covers the era from the beginning of historical linguistics in Europe in the early 19th century, all the way up to the political turbulence in the 1920s and 1930s that led to World War II and the shift of the center of intellectual mass in the West from Europe to the United States. A second volume, Dissent in the Mind Fields, will be available by the time of the LSA Institute, tracing the changes that went with the rise of global polarization in the post-War period, with the rise of the computer as an instrument and also as a metaphor, the rise of cybernetics and cognitive science, and the impact of generative grammar. What follows is an example of how the major themes of the book could be organized into eight classes. 1. The larger picture: How do we trace the evolution of our ideas in modern linguistics, and why is this both important and liberating for the young scholar? A consideration of: the ways in which ideas from one tradition may burrow under the fences, like moles, to reappear in neighboring disciplines without an invitation; the importance of Germany as home to linguistics, psychology, and philosophy in the 19th century; the five generations of linguists that stretched from the beginning of the 19th century to the dominance of the American descriptivist tradition. 2. The rise of comparative linguistics in Western and Central Europe in the 19th century. Its connection with the creation of the nations of Europe, and a search for an ancient cultural homeland in India. The Neogrammarian revolution and the Wundtian turn, both at the University of Leipzig in the 1870s. and the Gestalt psychologists came to the United States, where their impact helped moved the country out of its behavioral moment. a. in psychology, reaching from (i) Behaviorism, from John B. Watson and its impact on Leonard Bloomfield to the second and more mellow generation of behaviorists, notably Clark Hull and Edward Tolman, all the way to (ii) non-behaviorist studies of culture, as developed in linguistics by scholars such as Franz Boas and Edward Sapir. b. The agreements and the tensions between the Bloomfield and the Sapir camps of linguistics. 5. Trubetzkoy, Jakobson, the Prague Circle, and the brain drain to the United States with the rise of Adolf Hitler. The cultural milieu in the United States as seen by the \’emigr\’es. For Jakobson, for example, it was axiomatic that an educated person had read Kant and Husserl. How could he conduct a conversation with people who did not share that culture? 7. American descriptivism as developed by Zellig Harris and his students, and their disagreements with Charles Hockett over what the goal of the linguist was. Harris continued the tradition of Sapir, whose students justified their abstract analyses on the grounds of the simplicity of the results. Harris emphasized the importance of always being explicit in the decisions made in developing an analysis of a language; he has, quite wrongly, been remembered as proposing that those methodological decisions should be made in advance and that they would be the same across the study of different languages. 8. The development of generative grammar in the 1950s by Noam Chomsky, its impact on the American scene, and the ways in which Chomsky’s work was received by the mainstream LSA linguists. California is home to an extraordinarily rich array of indigenous languages. The languages display many typological features unlike those of better-known languages of Europe and Asia, features on which much of linguistic theory was originally based. At the same time, there is also substantial genealogical diversity within the area, with around twenty different families represented. But California has also been the scene of longstanding, intense contact among indigenous communities, going back millennia. It was once thought that the primary material to be transferred in contact situations is vocabulary, but particular social and cultural circumstances have shaped the nature of transfer here, such that now there are extensive semantic and structural parallels across the languages, often with little lexical borrowing, and often deeply embedded in the lexicon and grammar. This course will provide a survey of the languages and their relationships, with an emphasis on typological features of particular interest. For each of these, it will look at the mechanisms by which such features can spread. The course deals with the structure of Tashlhiyt Berber, one of the main varieties spoken in Morocco. It has come to many phonologists’ attention due to its complex syllable structure and its extensive use of consonant clusters, which may result in utterances without any vocalic segment. While working through the phonology and morphology of the language, we will discuss the following topics: (i) the phonemic inventory of the language, (ii) its syllabic structure in comparison to other Berber varieties, (iv) alternatives to syllabic consonants, and (v) root allomorphy at the interface between syntax and phonology (e.g. case marking and definiteness in nouns, glide-high vowel alternations, sibilant harmony, labial dissimilation). We will conclude by discussing several phonological and morphological features that Moroccan Arabic has borrowed from Berber. This methods course provides hands-on experience analyzing multimodal language, particularly co-speech gesture and sign language. In-class discussions explore the topic of “multimodality” as it relates to the practice of doing linguistics. Course assignments target practical matters of multimodal language analysis, including evaluating digital data sources, identifying opportunities for research funding and dissemination, and outlining concrete and manageable projects. As the law consists of, in, and through language, and its practice is executed through language, it seems appropriate to take a look at the many ways this linguistic “materiality” of the law informs the structure, the formulation and interpretation as well as the practical conduct of law. Unsurprisingly, then, a more precise awareness and knowledge of the role of language, its structure, its use and its pragmatics is essential in understanding how the law as a regulative normative system is put to work and how linguistic knowledge can contribute to argue successfully in law. In addition to the application of the linguistic toolbox to legal discourse, the course analyses how crimes are committed through language and how crimes are detected through linguistic evidence, using most modern tools of forensic linguistics. This course introduces Southern Pomo morphophonology and morphosyntax through the comprehensive study of an as-yet-unpublished traditional narrative text. Southern Pomo is the most phonologically conservative of the seven Pomoan languages, and it includes breathtakingly baroque phonological alternations unattested elsewhere. This complex phonology is paired with equally rich morphosyntactic complexity, including two interacting case systems: an obligatory agent/patient (roughly fluid-S) system on highly animate NPs, and an optional nominative/accusative system for both highly animate and less-animate NPs. These broader topics of Southern Pomo are explored through the lens of a complete narrative, which allows natural boundaries for which aspects of the language must be covered. This text around which the course is structured was collected by Abraham M. Halpern from Annie Burke. It is the story of two mythical beings who fight after a gambling session gone awry. The text, though short, is perhaps the clearest example of several complex grammatical phenomena, including switch-reference and the two case-marking systems. Special emphasis is placed on typologically interesting phenomena, such as the laryngeal increment system, verb-internal sandhi, instrumental prefixes, directionals, case-marking strategies, and switch-reference. This course provides a holistic introduction to the language and culture of Southern Pomo speakers, and students will be able to read the entire text in the original Southern Pomo by the end of the course. The goal of this course is to help linguists become more confident and effective instructors. Students will discuss the theory and practice behind evidence-based teaching strategies and will participate in hands-on activities that will provide them with experience putting those strategies into practice. Students will also create deliverables that show evidence of teaching effectiveness and that can be used to assemble teaching portfolios. The systematic study of folk linguistics dates back to at least the 19th Century (Polle, Willems) but was seriously developed in dialectology at least in the mid 20th, especially in The Netherlands and Japan (Grootaers, Mase, Sibata, Weijnen). A late 20th Century ethnographically-oriented revival (Preston, Inoue, Eckert, and others) has now established this mode of enquiry as one commonly attached to general studies of varieties or carried out independently. In this course various goals, methods, and findings are summarized and evaluated, with special regard to the following questions: 1) In what demographic and linguistic ways do people believe speech differs? 2) To what extent and where do the folk definitions and boundaries determined in 1) differ from those discovered by professionals? 3) With what sort of granularity and frequency do people believe speech differs — (i.e., with reference to details or globally) and/or incrementally (e.g., by degree). 4) Which linguistic signals do (and can) people use to identify varieties? 5) Which variant linguistic and demographic facts influence comprehension? 6) What sorts of language regard factors (e.g., social stereotypes, caricatures) accompany and influence any of the answers sought in 1) through 5) above. This course examines core concepts from sociolinguistic theory and investigates how they manifest across different forms of computer-mediated communication (CMC). Dialectology, communities of practice, register/style, language change, data collection, and fieldwork ethics are examined through the lens of text messaging, forums, social media, email, and even video/streaming platforms (YouTube, Twitch) to answer questions such as: are there ‘dialects’ associated with different social networks? To what extent does a group that gathers online to play World of Warcraft act like a conventional community of practice? How do we compare Twitter data – where users’ demographic information is not always available – to conventional sociolinguistic studies? The course assumes at least some background in sociolinguistics and is structured around lectures, open-ended discussion, and small course projects.